This Valentine’s Day, Hotel Vic’s Cruise Rooftop Restaurant and Bar is presenting a romantic dinner. The establishment’s offerings begin with a choice between a deluxe sashimi platter and a platter of freshly shucked oysters from France. Guests can indulge in a selection of main courses, from Mediterranean grouper fillet with forest mushrooms, Noilly Prat wine and black truffle sauce, grilled beef tenderloin and pan-fried foie gras with truffle mashed potatoes, and braised spring chicken with truffled mash. A guest DJ will perform romantic tunes live from 9:00 pm on February 14, while the exclusive set menu is available from 6:00 pm to 11:00 pm, and is priced at HK$1,314 for two. 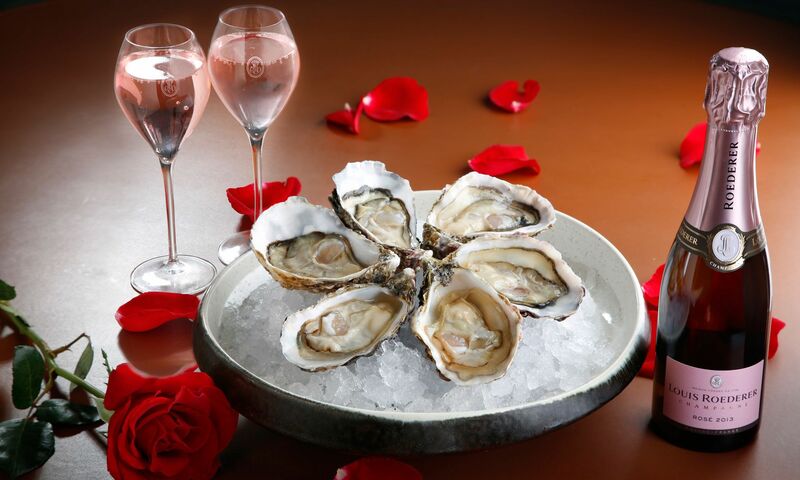 Guests purchasing the romantic dinner menu can also opt for the ‘Be My Valentine’ beverage package, available for HK$688 for two, which includes a half-bottle (375ml) of Louis Roederer Rose champagne, two Valentine’s Day special cocktails, a set of canapes and a red rose. The beverage package is available from 6:00 pm to 1:00 am.